Fiesta Party Packs and Catering Now Available. Unreal. Words can not describe how good this food is. Expect the wonderful waitress, she can describe the food in a way that no one else can! This place is such a gem! A little hole in the wall place and the atmosphere lacks but the food is top notch!  The menu is a fusion of mexican/American style food. We had burgers and they were juicy, perfectly cooked, and tasty. The fries were great, hand cut with the skins still on and fried thoroughly. I always recommend this place to friends and they all come back raving about the food. They have a full mexican menu as well. A must try for any lover of fusion food. In the area for the weekend and wanted to try Cheachies Grill as we didn't get a chance to last time after reading the great reviews online. Everything from the service to the food was amazing! Our server, Carol Ann was lovely, i don't think we've ever had better service in a restaurant. Cheachies is a very relaxing environment and the food is very fresh and homemade. Probably the best burger I've ever had. Plus we met a fellow caper there, which is always nice! Highly recommend this hidden gem to anyone and we'll be back next time we are in the area. We dined at lunchtime with my sister and her husband - he is from Mexico. Friends and coworkers had told us; "this place is a hidden gem", and we weren't disappointed. We had chicken nachos, beef fajitas, enchiladas, and margaritas, and we thought we were at a cafe on the beach in Cancun. Real homemade guacamole, pico de guyo, fresh (not canned) jalapeno peppers and house made hot sauce in 5 levels of heat from mild to "dangerous". Hidden in the side of a little plaza mall at the back end of Chain Lake drive, they have lots of parking. We will definitely be making this one of our new and favourite lunch stops in the city! So nice to find a great mexican restaurant that knows how to make food that makes you feel you are back in Mexico. The guacomole was perfect , really loved everything right down to the homemade salsa & refried beans! Wait staff was hilarious and efficient; ) Atmosphere was relaxing. FOOD WAS AMAZING!!! Will be back again and again. Probably my favourite restaurant in Halifax. Probably the best burgers I've ever had in my life, and that's coming from someone that loves a good burger. Everything is made with love and put together with such care for taste. I have a hard time trying anything else there because the burgers are too good to pass up! Great portion sizes, great prices. Wish I could get out there more often. Had probably my 10th BBQ Bacon Burger, with Cesar Salad and a Sam Adams, at Cheachie's tonight. Every time I'm amazed at how much I love it. The food here is always great! Great service, authentic fresh made food, generous portions and well priced! My wife and I were staying at the lakeview hotel and this restaurant is next door. THE BIG EARL WAS BY FAR THE BEST BURGER I HAVE HAD IN MY LIFE HANDS DOWN! I have trie cheese curds and flip burger but they do not compare to the flavor of the burgers here. I will eat here any chance I can. I was skeptical, partially given its location in a strip mall, partially given the mixed menu. Quite disappointed that they make their enchiladas with flour tortillas (unheard of! ), but I ended up having soft corn tortilla tacos which were very yummy! Margaritas were good too. Will go back. Found this out-of-the-way place in Bayers Lake tonight and was pleasantly surprised! Awesome burgers and fries - both homemade! My friend had the quesadillas and the lime margarita and both were great! Looking forward to another visit...might make it a margarita and nacho night! What a fantastic little place to eat! Let's start off with location. I see numerous people mention that it was "out of the way" or "hard to find". With a little know how of the internet (Google Maps) or GPS and this place is not too hard to find. It's only off of Chain Lake Drive. Plus there's parking! Also, the place doesn't look "like a dive" from the outside. It's certainly not a stylish building but it's really only a suite in a building with a sign stuck on the front of it. The inside is really cozy and nicely decorated. The service was excellent, wait staff was friendly and the food was hot and delicious. I will definitely go back again and recommend others go there as well. 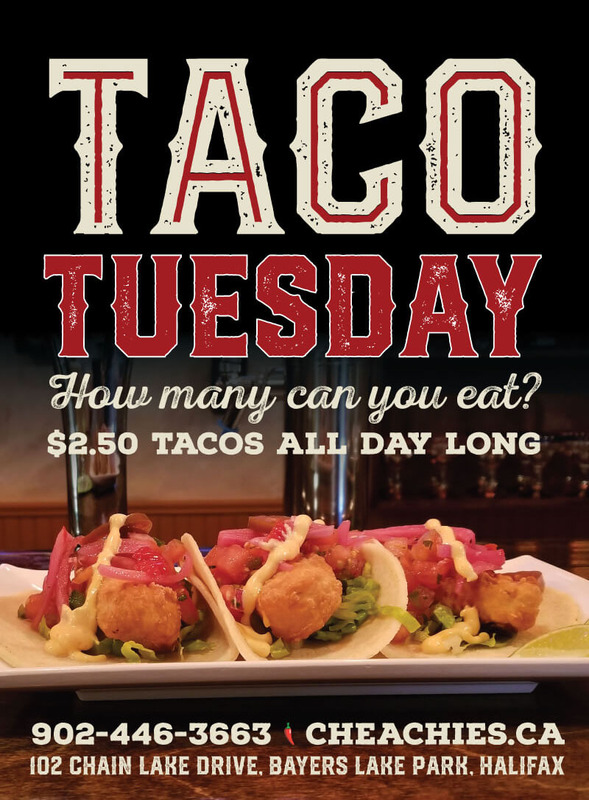 If you are in Bayer's Lake shopping or on business and want something else to eat besides fast food, look up Cheachie's Grill - right beside Lakeview Inns and Suites! This place has singlehandedly revolutionized the way I make fajitas and tacos at home. And for me, that's a big deal because taco wraps are among my favourite foods. I won't get into details about how I *now* make my mexican food but I will say I was inspired when I got beef tacos here my first time. Every time I've been here, I will admit I've gotten the same thing and it's because it was so delicious the first time. The fries are perhaps among the best fries in Halifax but it was the beef tacos that won me over. Jalapeño peppers sliced on top of the beef with your choice of salsa or sour cream in taco shells (or soft shell the second time I came here). I won't say Halifax has a wide variety of mexican choices and the way this place makes tacos likely isn't even authentic but as far as Americanized tacos go, these are the best I've had. The service was very personable. What you'd expect in a family restaurant. Why they're located all the way out in the dead side of Bayer's Lake is beyond me but it's worth the trip if you can find it. Consider it a treasure hunt. Your reward is revolutionary tacos. If only I could get beyond these tacos to actually try something else.... I'll keep you posted.